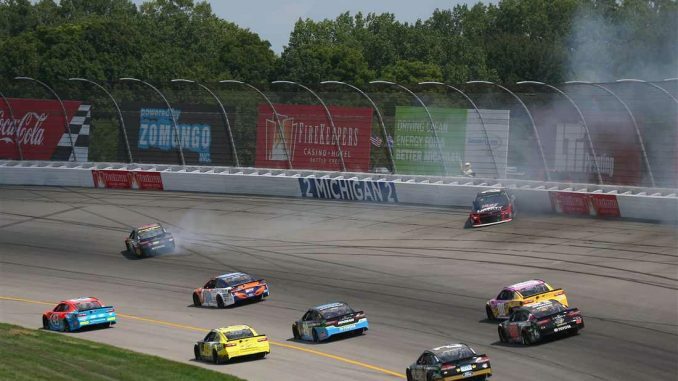 Martin Truex Jr. had a rare off day Sunday at Michigan. At one point, the reigning Monster Energy NASCAR Cup champion and one of the so-called “Big 3” drivers was leading and a contender, but later stumbled a bit and for the second time in the last three races finished outside the top 10. After starting 7th, Truex struggled early nearly spinning out on the opening laps. On lap 10 William Byron slipped up the track entering turn 1 and made contact with Truex sending his Toyota into a spin. 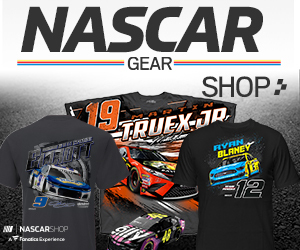 While Byron’s Chevy made hard contact with the wall, Truex expertly maneuvered his car keeping it off the wall. After a tire change, Truex was able to rally back and finished fifth in the first stage. During the ensuing pit stops an issue lost him 8 spots. With fuel strategy Truex led 25 laps during Stage 2 and was hoping to have enough fuel to win the stage; those hopes ended when he ran out of fuel two laps before the end of the stage. He was forced to first slow down, then pit. Then penalized since he pits were closed. To add insult to injury, the crew was also penalized for an uncontrolled tire. Time ran out and Truex was forced to settle for 14th. The 14th place finish came after a 15th place finish at Pocono two races ago, but on the heels of a runner-up at Watkins Glen last Sunday. Sunday’s finish at Michigan however was most likely due to a series of unfortunate events, rather than struggles for the team.